On June 1, 2016 revolutionaries living in Benghazi declared the start of a defensive effort in support of the Shura Council and the Chamber of Ajdabiya, according to an official statement they issued. They named themselves ‘Defend Benghazi Brigade’ (DBB) stressing that they do not belong to any party or any internal or external organization, but they are simply the sons of Libya. In their statement they called on supporters and fighters of General Haftar, commander-in-chief of the Libyan National Army (LNA) associated with the Tobruk-based House of Representatives (HoR), to turn back to their original revolt intended to free Libya. They called out Haftar’s crimes and true agenda that have been exposed with time. Furthermore, they confirmed that their point of reference is the Dar al-Ifta (Libya’s Council of Scholars) and expressed their thanks to those who support them in the country’s eastern, western and southern regions. DBB is a force made up of soldiers and civilians turned freedom fighters during the 2011 uprising from the city of Benghazi and Ajdabiya. The DBB forces fought with the same commanders in the battles against former dictator Muammer Gaddafi in 2011 that they fight with today. Some of these commanders are Colonel Mustafa Al-Sharcassy, Ismail Al-Salaby, Ziad Bal’am, Ahmad Al-Tajouri, and Saadi Al-Nawafly. The Brigade has the support of other brigades and military groups in western Libya. In Ajdabiya the DBB allied with Adjabiya’s military operations centre, which is the new name of the Shura Council freedom fighters of Ajdabiya. Together the forces took control of the oil fields south of the city while in battle with Brigade 101 commanded by Lieutenant Muhammad Absat who is loyal to Khalifa Haftar. Backed by Libya’s senior religious scholar Sadeq Al-Ghiryani, the former president of the General National Congress (GNC) in libya Nouri Abusahmain, and the Government of National Salvation serving under the GNC, the DBB and Adjabiya’s military operations centre’s objective is to rid Benghazi and Ajdabiya from Haftar and his forces for good. For several months, while forces loyal to the Government of National Accord (GNA) have been fighting ISIS in the city of Sirte, in western Libya Haftar has decided to not support the GNA’s fight against ISIS and instead focused on seizing oil fields and attacking the Shura Council of Derna fighters who were instrumental in driving the ISIS from the city in the East. 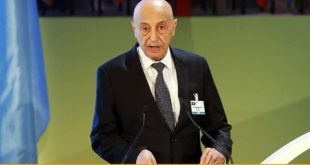 The rogue general’s self-proclaimed “Libyan National Army” has been involved in armed conflicts in the eastern cities of Benghazi and Derna, despite announcing in early May that his forces would be the ones liberating Sirte from ISIS extremists. Haftar has been investing his efforts in establishing full control of eastern Libya. It has been reported by civilian and military sources that militias loyal to Haftar have gained control of 14 oil fields in the Marada and Zilla basins. Haftar’s allied militias include fighters from Sudan and Gaddafi loyalists. In May, Haftar launched Operation Volcano in Derna, which has been viewed as an extension of Operation Dignity, to allegedly liberate the city from the “terrorists” and “Islamists”. 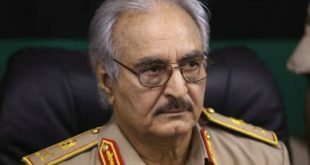 Operation Dignity was launched in May 2014 by Haftar to eradicate groups he has labeled as Islamists from Libya, who he considers to be terrorists and his enemies. Derna’s Shura Council has openly opposed Haftar, and in April claimed that they were able to drive out ISIS from the city without his help. The opposition of Derna’s Shura Council was one of the reasons Haftar launched a war against the eastern city. Despite the fact that the Derna Shura Council has maintained that they are not affiliated with any terrorist group Haftar waged war against Derna is because he aims to establish full control in eastern Libya as political leverage. Haftar has accused Derna’s Shura Council of being loyal to Al-Qaeda and Ansar Al Sharia and has placed Derna under siege to allegedly block Al Qaeda and Ansar Al Sharia’s movements in and out of the city. Despite UN envoy Martin Kobler’s calls for a ceasefire in Benghazi, Haftar’s forces continue to engage in clashes with other armed groups in the city. Benghazi, Libya’s second largest city, has experienced some of the worst violence during the conflict. Frustration has been growing with Haftar’s war in the east that caused the deaths of civilians. Haftar has been accused of war crimes in Derna. With the limited action by the GNA to take a stance, anti-Haftar brigades and militias have stepped up to take ownership of this indefinite war against Haftar. In a video message by DBB the force states that Haftar and his forces are criminals who destroyed many institutions, abused women, burned down homes and properties, killed religious leaders and also those who memorized the Quran in Benghazi and in neighbouring cities and towns. DBB claim that Haftar has done nothing but destroy and add more chaos, destabilization and lack of security to eastern Libya. DBB, who claim to be independent of any political group or ideology, have vowed to fight Haftar and those who support him until the people of Benghazi are able to return to their homes and properties. The DBB has been able to gather forces in western Libya to fight under its name. The joint force was able to take control of Al-Jufrah military base, in the southern region of Libya, and set out towards the city of Ajdabiya. DBB forces seized control of southern Ajdabiya on June 18 and declared it a military zone. After that DBB made its way toward Benghazi hoping to catch up to the Shura Council freedom fighters who are also fighting against Haftar. DBB has been in ongoing clashes with Haftar forces who are trying to take over the town of Al-Maqroun in Libya’s eastern region. Most recently, DBB forces were able to take down one of Haftar’s helicopters carrying French special forces.